Foundation Supports local players international success. 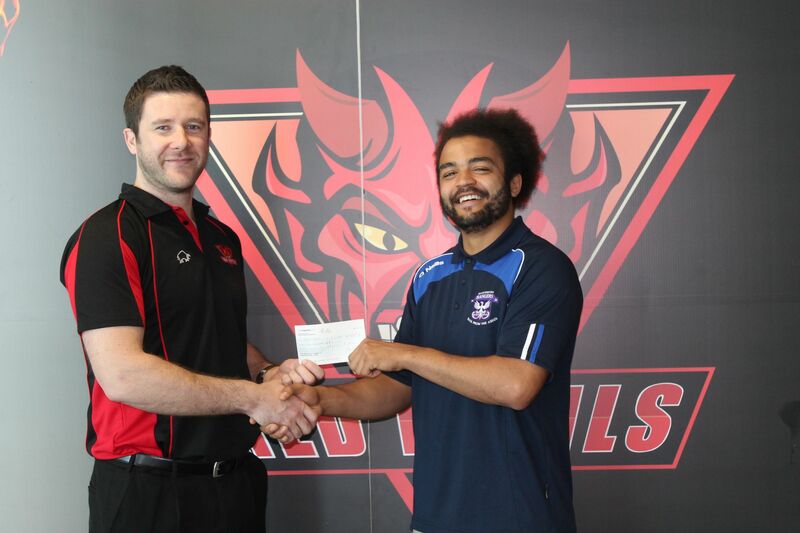 The Salford Red Devils Foundation have acknowledged the success of local player Josh Hill who has been selected to represent the Great Britain Pioneers on their tour of Hungary by providing funding towards his trip. The Foundation have donated £250 to Hill, who represents two of our partner clubs, Salford University Rugby League, and Manchester Rangers. The Great Britain Pioneers is a representative team selected from student rugby league players, which travels the world working to develop the game in countries where rugby league is not widely played. The Pioneers select players who have made impressive contributions to the game both on and off the pitch, and the selection caps a fantastic year for Hill, who has already collected a league winners medal with the University side. “The support is helping massively towards me achieving this goal, I can’t thank the Foundation enough for their support. I’ve never been to Eastern Europe before so I’m really looking forward to getting over there and playing some rugby”. “I’m looking forward to getting together with a new group of lads, and playing at a potentially higher standard than I have done before, and I can't wait to represent Great Britain in the process”.